Marvel UK Returns in Your First Look at REVOLUTIONARY WAR: ALPHA! 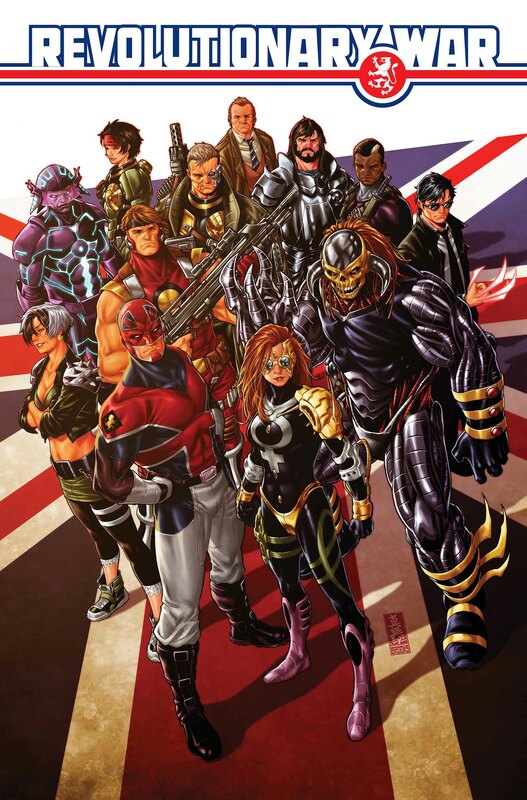 In 2014, Marvel readers should prepare for the next British Invasion. Starting in January, cult favorite Marvel UK characters return for an 8-issue limited series kicking off in REVOLUTIONARY WAR: ALPHA #1! Today, Marvel is excited to present your first look at that exciting first issue from blockbuster creative team of writers Andy Lanning & Alan Cowsill and artist Richard Elson! Long ago, Captain Britain, Dark Angel, Motormouth and the pantheon of Marvel UK Heroes believed they had defeated the shadowy Mys-Tech organization in one Earth-shattering climactic battle. But they were wrong. Mys-Tech has returned, and their presence threatens not only the world – but the entire universe! Now, Marvel UK’s greatest heroes must band together for the first time in 20 years to stop a long forgotten enemy. But are they too late? The battle begins this January in REVOLUTIONARY WAR: ALPHA #1 and continues one week later REVOLUTIONARY WAR: DARK ANGEL #1 and various one-shots on-sale through February and March!